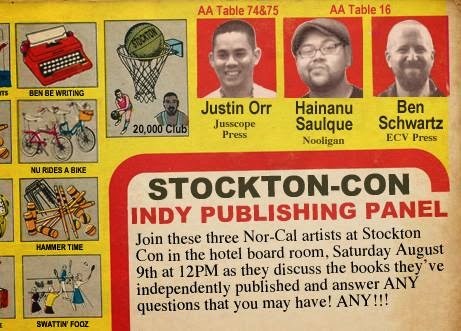 Empire's Comics Vault's owner, Ben Schwartz, will participate in an Indy Publishing Panel discussion with Justin Orr, Jusscope Press, and Hainanu Saulque, aka, Nooligan, at this weekend's Stocktoncon. 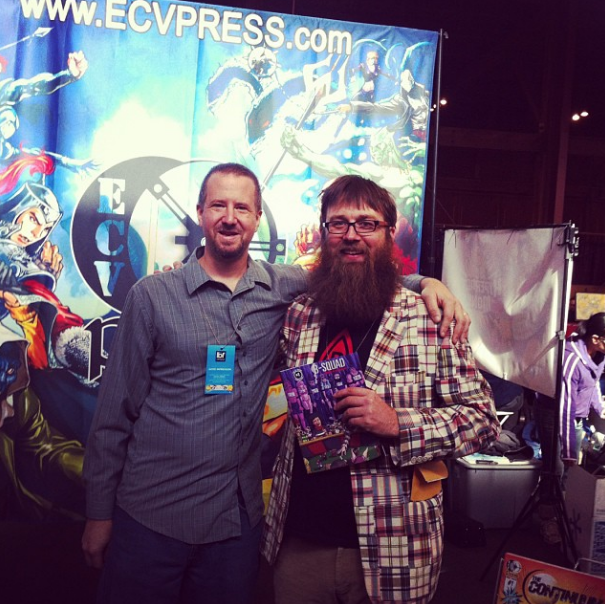 In addition to running Empire's Comics Vault, Ben also publishes comics via ECV Press. "Pop culture event grows to two days in third year", this is going to be two days of pop culture awesomeness -- yes, we said, "AWESOMENESS." Attend the panel discussion, and meet and speak with Justin, Nu, and Ben on Saturday, August 9th at 12 pm in the hotel board room. You'll also find Empire's Comic Vault's Artist of the Month, Jeremy Rathbone, exhibiting at Stocktoncon this weekend. Then, at 2 pm on Saturday, in the same room as Ben's panel, shop favorite Eben Burgoon will teach on the topic, "Writing with Pictures." Saturday at 4pm be sure to check out the 501st Legion (favorites at our annual Free Comic Book Day Mini-Con) in the University Plaza Hotel Ballroom. Jason Dube, founder of Scattered Comics and the Sacramento Comicbook Creators Group (which meets in the shop every Tuesday night at 6pm) will also host a panel at Stocktoncon. Jason and Scattered Comics are also regular favorites at our annual Free Comic Book Day Mini-Con. The Scattered Comics panel takes place Sunday at 12 pm in the University Plaza Hotel Board Rooms. Artist Krysten Reis, a favorite at Empire's Comics Vault's annual Creative Women Mini-Con, will be a panelist in addition to several others. More information at ScatteredComics.com. The "Marvel Masterpiece Theater" panel scheduled for 4pm has been cancelled.